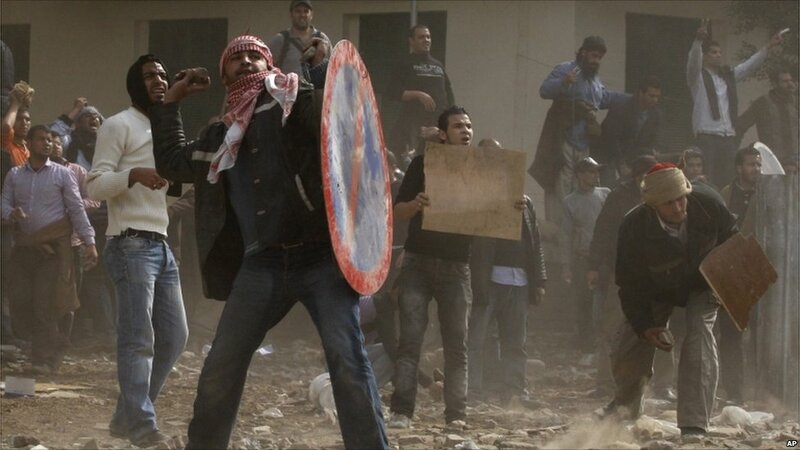 Many anti-government demonstrators remained in central Cairo overnight determined to overthrow President Hosni Mubarak. They hope to be joined by thousands more on Friday, which they have dubbed "Day of Departure". On Thursday, Tahrir Square in central Cairo saw mopre scenes of chaos and violence between the protesters and pro-government demonstrators. Correspondents described an anarchic scene in the square, with barricades erected between the opposing sides, paving stones broken up to provide ammunition and bandaged "war wounded" walking around. Uneasy soldiers attempted to maintain a buffer zone. 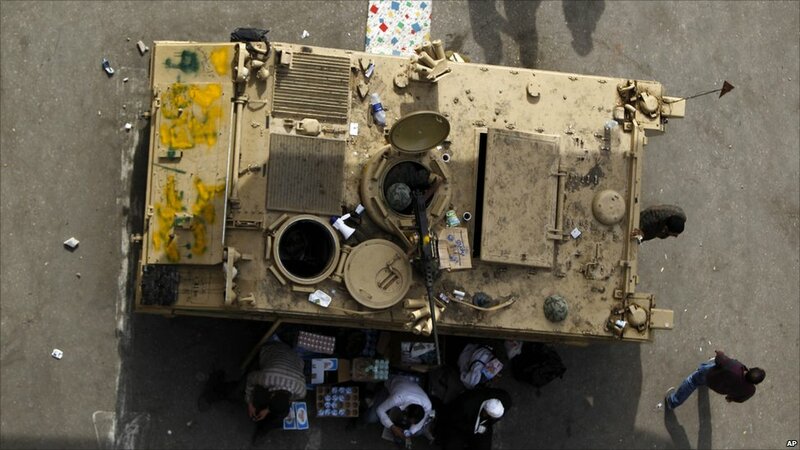 Everyday objects were used as weapons as anti-government protesters mounted their defence against well-organised pro-Mubarak squads who launched their surprise assault on Wednesday. 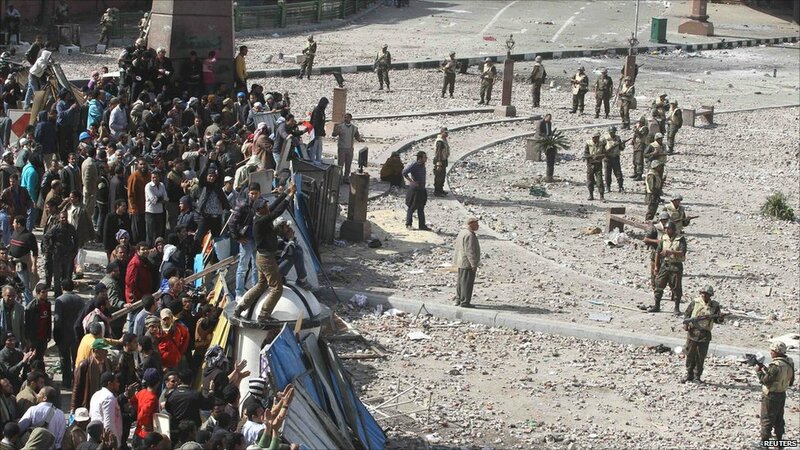 Hundreds of people have been injured in the clashes which began on Wednesday, Egyptian officials say. 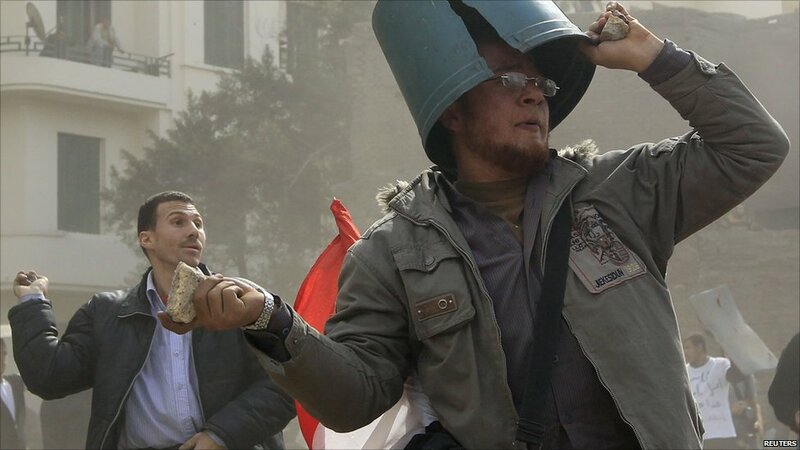 Groups of men supporting President Mubarak reportedly attacked reporters, foreigners and local human rights workers. 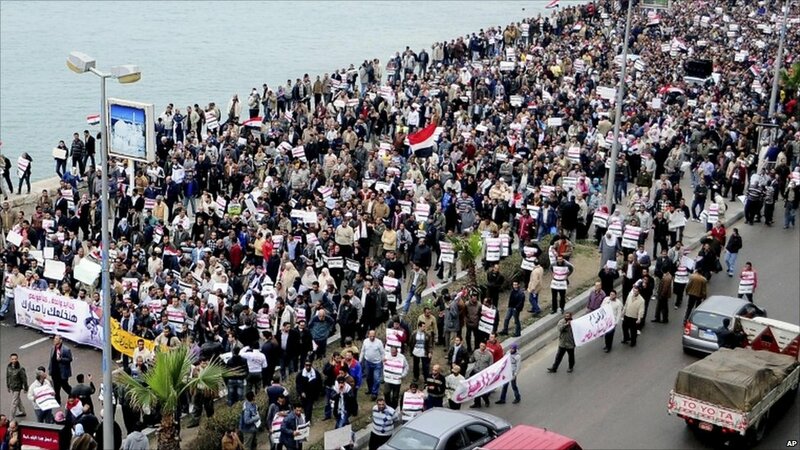 Tensions have also been high in Egypt's second city, Alexandria, where thousands joined a march against the president. One banner read: "In all languages of the world, we tell you: Leave, Mubarak." 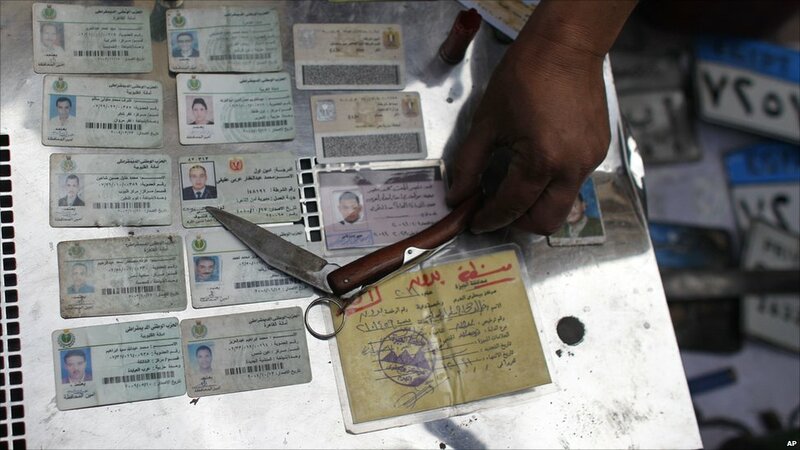 Anti-government protesters in Tahrir Square said they have evidence, such as these seized ID cards, that many pro-Mubarak demonstrators are police. 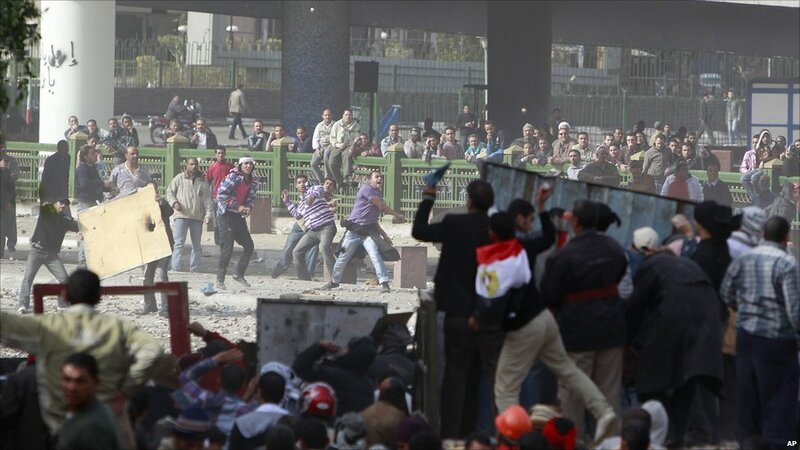 But their opponents insisted they speak for a silent majority of Egyptians who support the president. 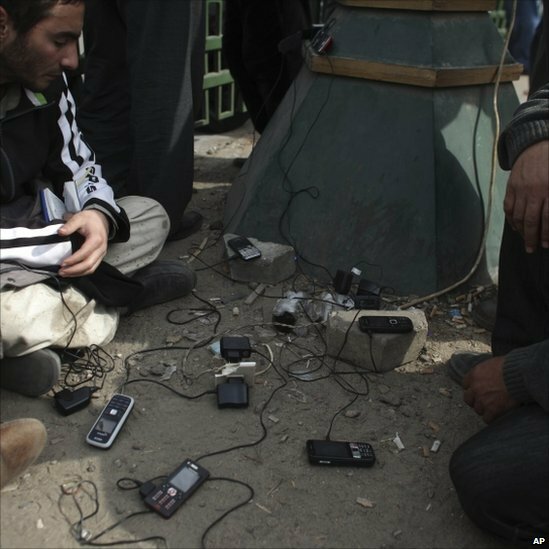 When the protesters get the chance they recharge their mobile phones, permitting them to communicate with each other and with the outside world via services such as Facebook and Twitter. Access to the internet has been partially restored. The military has played a hesitant role in this crisis so far - it is wedded to stability, say analysts, but also has close links with a wary United States and wants to emerge from the crisis with its reputation and status intact. Meanwhile, the exodus of foreigners has continued. 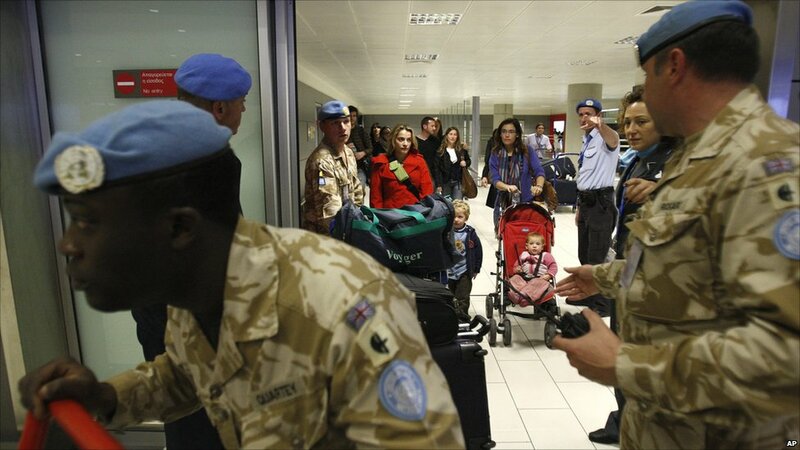 Here, some of the 350 UN staff and dependents arrive in Larnaca airport in Cyprus. 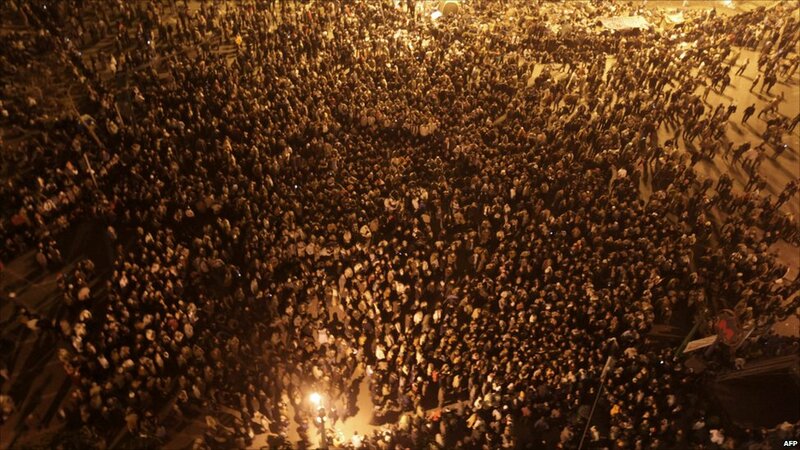 More than 4,000 passengers made their escape through Cairo airport, reported Reuters. 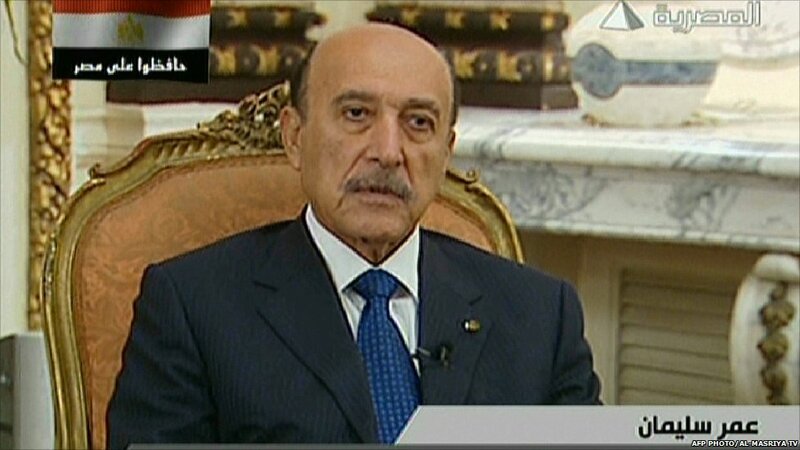 Appearing on state TV, Vice-President Omar Suleiman appealed for time to implement reforms ahead of September elections. In a surprise disclosure, he said the government had offered to meet opposition activists - but warned "plotters" would be punished. After 10 days of protests, many anti-government demonstrators are exhausted. But their demand remains simple: they want Mr Mubarak out and they want him out now.